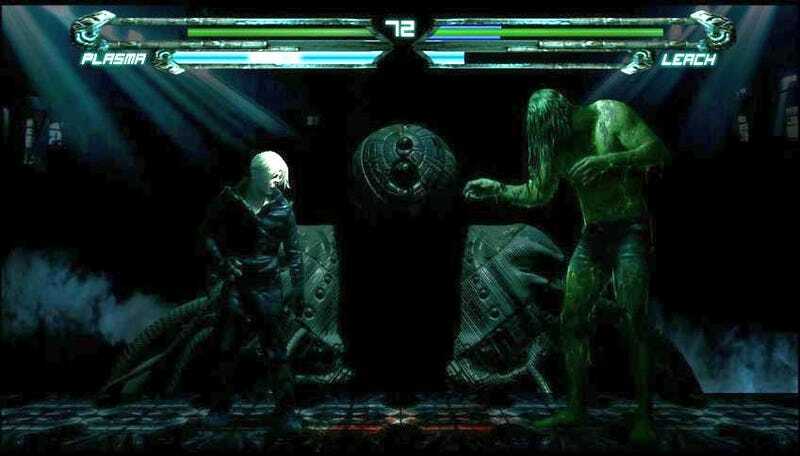 The story of Death Cargo, that mysterious horror-themed fighting game I first wrote about last week, gets stranger and stranger the more I look into it. Since I originally said that I was supposed to receive a working copy of the game two days ago, a lot of readers have been asking why I haven't published a follow-up piece yet. I haven't because while I did indeed receive a file from Death Cargo publisher Necrostorm on Wednesday, this new file did not come in an immediately workable form. Rather, I was prompted to go through yet another stage of an "activation" process wherein I must wait for another code that I can punch into my computer before I can actually play the game. I still have not received the new code to begin this next and hopefully final step in the process. I've also begun to see reports on gaming forums from people saying they have received a playable version of Death Cargo. However, many of these forum posters also say that the game they received feels very unfinished, for lack of a better word. Because of that, I also went digging to find copies of the earlier beta versions of Death Cargo so that I can compare them to the game I ultimately receive from Necrostorm. In other words, seeing this story through hasn't been as easy as clicking a "start new game" button. But Fear not: another report is coming soon. Stay tuned! And, as always, if you are a Death Cargo customer or have any information about the game or its creator Necrostorm, please reach out to me at yannick.lejacq@kotaku.com or find me on Twitter at @YannickLeJacq.